We often fail in life and in our capacity for devotion because we are not trained to use our human qualities. These qualities of endurance, creativity and compassion are regulated by the third, fourth and fifth chakras. The first and the second chakra are below human. The sixth, seventh and eight chakras are beyond human. So it is only in the area of the heart that we can fulfill our nature. This meditation opens the power of the fourth chakra. It balances and repairs the sympathetic nervous system. It helps the physical heart. It gives resistance to tension and high pressure environments. The greatest result is that it connects you with the inner sense of being human. Sit in an easy cross-legged pose, keeping the spine straight. 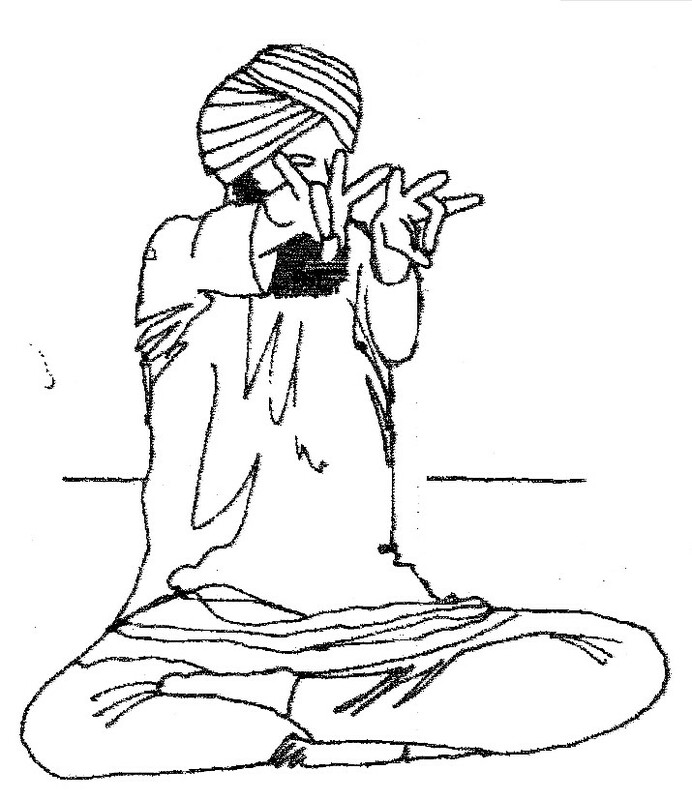 With both hands form Ravi mudra: Touch the tip of the ring finger with the tip of the thumb. Extend both arms parallel to the ground with the palms down. Spread the fingers wide. Put the sides of the tips of the index fingers together. Raise the arms slightly so the index fingernails are at the level of the eyes. Keep the eyes relaxed and open. Look over he indexfingers to the horizon. Just hold this position completely still. Continue for a maximum of 11 minutes.